The mais scale of this simulator is graduated in inch, that is subdivided in sucessive halves up to one-sixteenth. In the dial, the pointer gives a complete turn (360°) every inch of avance (1in) and its display has sixty four divisions. This way, each mark that the pointer goes represent an advance of 1/64 of inch (one-sixty-fourth inch or 1/64″). 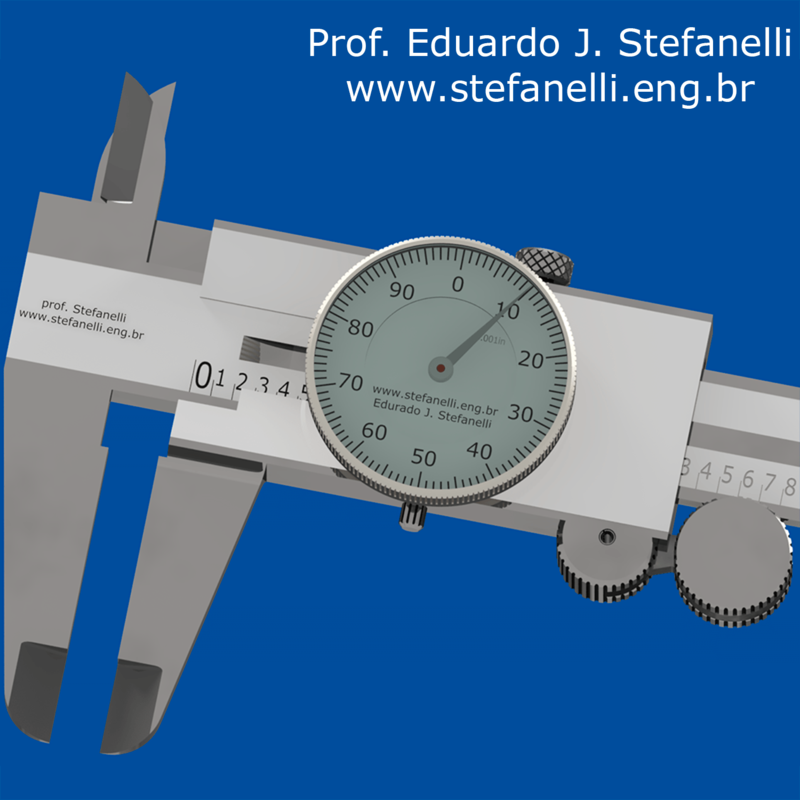 Note that the fractions whose denominator is 128 shown in the virtual caliper quota are obtained by interpolation.